If you travel on Water Well Road or South Ohio, you may want to take an alternate route for part of next week. 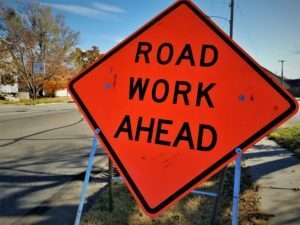 The Saline County Road and Bridge Department has announced that APAC Shears of Salina on Monday afternoon will begin work on Water Well Road from Ninth Street to Ohio and on Ohio from Water Well Road north to the city limits. The work on Water Well Road and Ohio is anticipated to be completed by the end of the workday Thursday, weather permitting. Property owners and businesses along Water Well Road between Ninth Street and Ohio and along Ohio between Water Well Road and the city limits will still be permitted to access their properties.